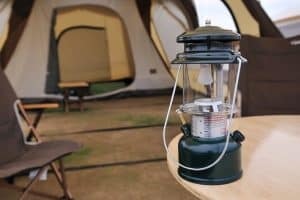 If you love the great outdoors and especially enjoy camping with your partner, spouse or a friend, having a quality tent where you can both get some much need shuteye at night is essential. In our detailed reviews, we are going to try to discover the best 2-person tent which is currently available. We’ll highlight their good points, as well as those which are not so great. In doing so, we’ll help you choose which two-person tent is right for your camping needs. This is a two-person tent which is quick and easy to set up, with vents which help keep you cool when it is hot and dry, but which also keeps out moisture when it rains. When you arrive at the place you plan to rest for the night the last thing you need is to have to spend a lot of time, and frustration, trying to erect your tent. Thankfully the Coleman Sundown 2-person tent can be set up in less than 10 minutes, so you should be ready to use it in no time. Hopefully, you will have fine dry weather for your camping trip, but it often comes at the price of inside your tent getting too hot. 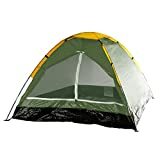 To help keep you and your camping partner cool, there is a ground vent and large windows to promote air circulation and reduce the temperature inside. On the opposite side of the weather coin are the wind and rain, and in these conditions, you’ll want to stay dry, especially when inside your tent. You first protection is the hooded rainfly, which should keep the rain from entering via the top of the tent. In addition, Coleman’s ‘Weathertec’ system of inverted seams, and dry-welded corners and floor adds further resistance to moisture getting inside. 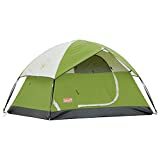 This tent comes with everything to set up your tent, and to help you have a comfortable night’s sleep under the stars, including being waterproof if instead of stars up above you end up with rain clouds. 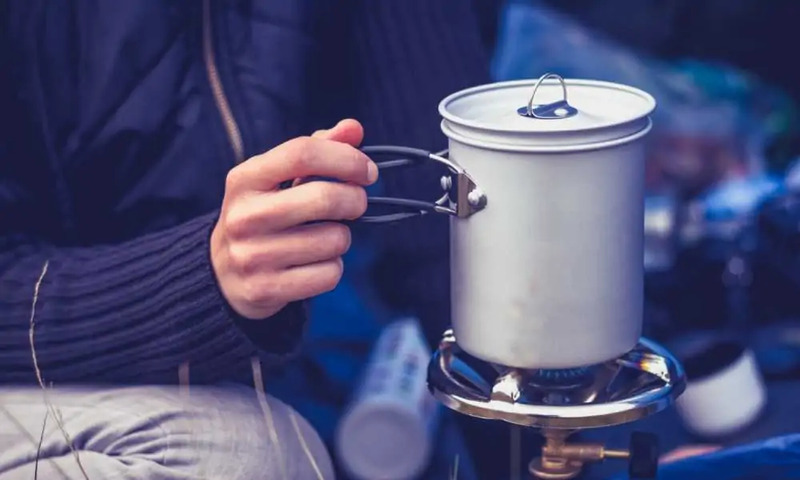 There’s no getting away from the fact that when you go camping there is always the possibility of the weather turning foul, and the rains starting to pour. If that is the case, when you are inside this two-person tent, then you’ll be pleased to know that its polyester fly sheet will resist rain and any other moisture in the air to keep you and your tent dry. If you tend to combine camping with backpacking, it is essential that your tent is lightweight and easy to carry. That is exactly the case with the Alps Mountaineering Lynx tent which weighs less than 6 lbs. and comes with a convenient carry bag. When you get to your camp place setting up your tent could not be easier, especially as all the stakes and guy ropes are supplied with it too. Once your 2-person tent is assembled, there are two vestibules to allow easy access, sealed fly and floor seams to prevent bugs and other critters entering, plus a handy mesh storage pockets to give you as much floor space as possible. When it comes to 2-person tents there can few that are more visually distinctive than this one. 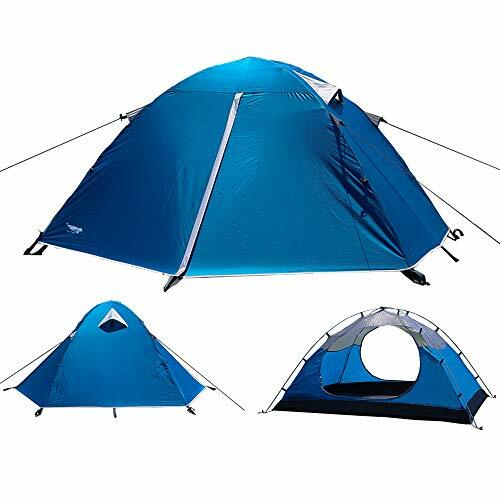 If you like your camping gear to stand out from the crowd then this tent will appeal to you. Let’s start with the construction of the tent and mention its excellent waterproofing. It has sealed seams and a welded floor to give you the maximum protection from moisture especially when it is raining outside. On the subject of protection, moisture isn’t the only thing that you want to keep out of your tent. Bugs and critters are also unwelcomed inside, so to prevent them from getting in, mesh windows are an integral part of the tent. For easy and convenient access for both persons using the tent, there are not one, but two doors. Not only does this allow you to enter and exit easily, it also means that if one of you need to exit during the night, you’ll not disturb the other to do so. Keeping your tent tidy is important, so having the internal pocket to store items will be welcome plus they also mean there is more floor space available due to fewer items lying around. Last, but certainly not least is the choice of external designs for your tent. You have several choices of colors and patterns, all of which make your 2-person tent a real eye-catcher. When you are camping in site with many other tents, it will also be easier to locate where it is. RIDICULOUSLY GOOD LOOKING lightweight and portable 2 person tent that's large enough to use as a 3 person tent too. 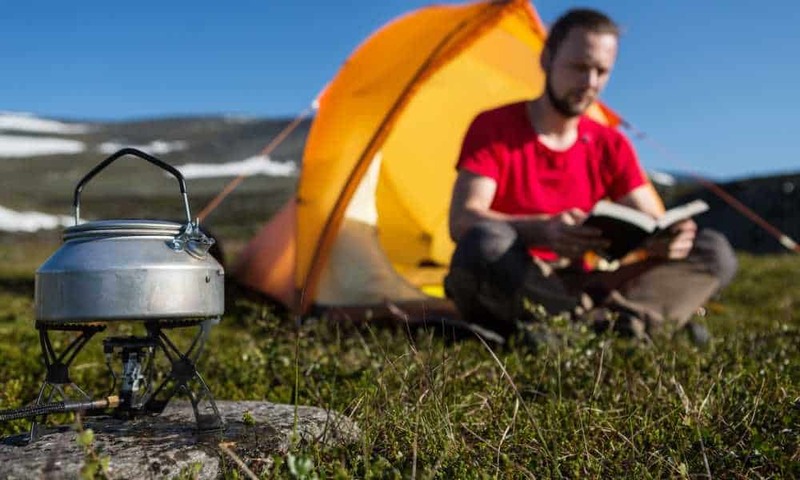 Whether you're in the Great Outdoors or your backyard, you'll look better than your neighbors with these slick tents for camping. 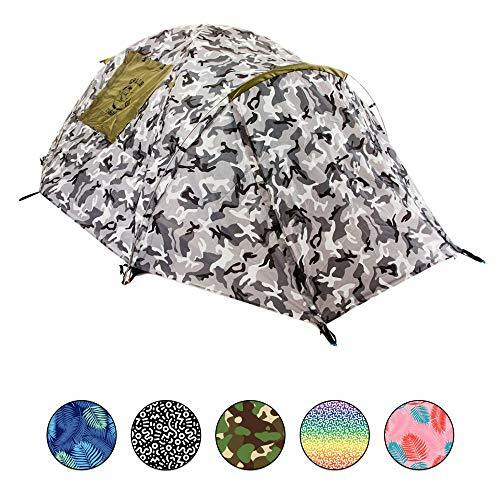 Chillbo's dome tent comes in 6 unique awesome patterns. Easy tent setup and our roomy carry bag ensures you don't need to wrestle with your camping tent to get it back into the bag. Our compact tent slots into the bag with ease.  LIFETIME GUARANTEE ensures 100% customer satisfaction. If your Chillbo Cabbins tent should ever cease to meet your expectations, return it for a full refund of your purchase price. No questions asked. If you still need convincing, feel free to check out the many reviews that our customers have written about the Chillbo tent for camping. 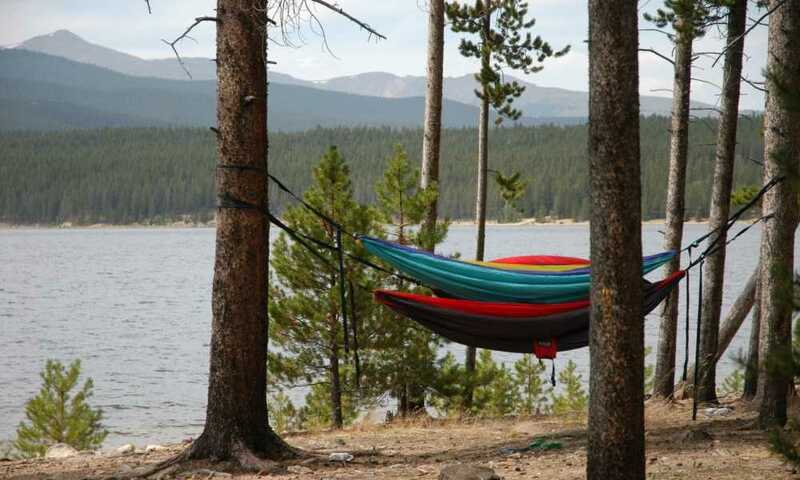 We're pumped to bring these to the market, and you'll be jazzed hanging out in your awesome lightweight camping tent. GO ON, CLICK ADD TO CART TODAY. 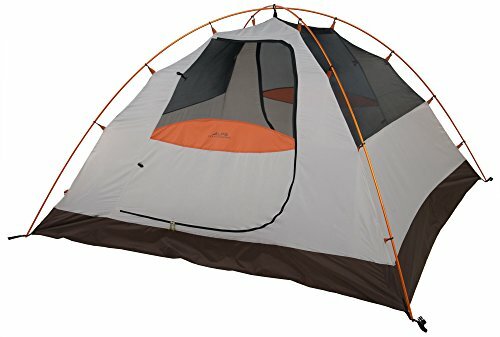 落QUALITY BUILD AND AMAZING VALUE CAMPING GEAR. Our stormproof tent is built using premium materials like a Full Fly Sheet, Oxford Floor, 2000mm Waterproof tent with seams sealed to keep you dry. Internal pockets for storage and cross-wound tent poles for maximum strength. Easy Access and breathable tent via 2 large D-frame doors and 2 mesh window panels make this the ultimate backpacking tent to add to your camping accessories. Our Chillbo dome tent sets up easy and packs down in minutes. STORMPROOF AND SPACIOUS TWO PERSON TENT or cosy three man tent keeps you safe from the elements. The Chillbo Cabbins 3 season tent has a covered entryway, full coverage fly sheet and wind responsive frame for quick, easy shelter while backpacking, car camping, hiking or living large at a music festival. No-See-Um mesh protects you from critters so you can chillax. Large enough to fit a queen mattress so you can cosy up to that special someone, or pack the little ones into these fun kids tents. Not all camping takes place in wind-free conditions, so it is important that your 2-person tent is strong enough to withstand the elements. The Happy Camper 2-person tent will stay standing, even when the wind is doing its best to ruin your camping trip. Knowing that your tent is durable enough to withstand unfavorable weather and that it will last a long time makes every camping trip you go on, more pleasurable. This two-person tent provides that durability, not least because it is supported by strong, fiberglass poles. The strong nylon material that is used for the tent body also contributes greatly to this as well. Getting in and out of this tent is made all the easier thanks to having a large, D-style door that lets you and your camping buddy come and go without hindrance. When you are inside your tent, and the temperature outside is doing its best to sweat you out, you will be grateful for the ventilation window which helps keep you comfortable during the day and at night. The last thing to note about this 2-person tent is its amazingly low price. You can own it for not much more than $20, which is a fraction of what many similar tents will cost you. DURABLE MATERIAL - Keeping yourself, your camping equipment, and your personal items dry when you are camping is half the battle. The sturdy nylon material on the tent body and the convenient rain fly help to ensure water does not make its way into the inside of your tent for an enjoyable, and dry, trip! GREAT FOR ALL OCCASIONS - Get the most out of your tent during the year! The fiberglass poles and ventilation window allow you to utilize this tent for activities in the spring and summer. 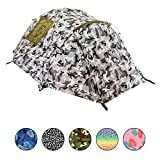 So, whether you need a tent for traveling, backpacking, hiking, festivals outdoors or whether you are headed out for a weekend camping trip with family and friends, this is an ideal tent to fit your needs. 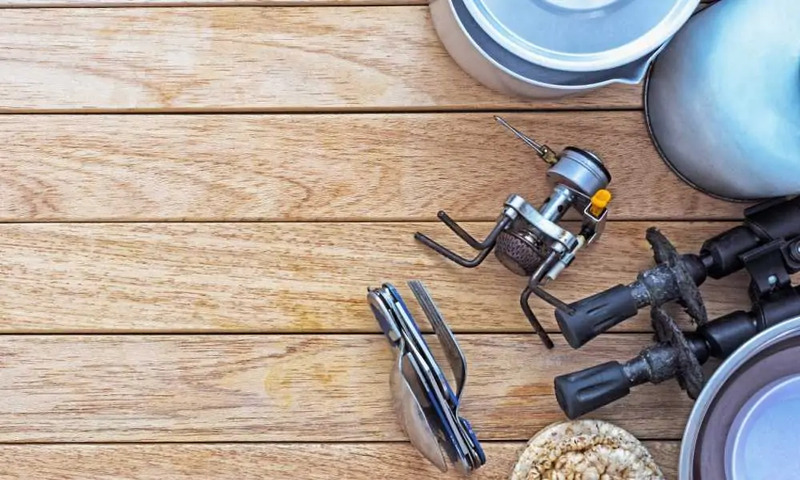 SATISFACTION GUARANTEED - Wakeman Outdoor is committed to providing consumers with the absolute best price and value on our entire line of products. NOTE: This is an exclusive product of Wakeman Outdoor and ONLY 2-Person Dome Tent by Wakeman Outdoors are GUARANTEED to be genuine. SPACIOUS AND CONVENIENT - This lightweight 2-person dome tent with a large D-style door was designed for comfort, space, and convenience. With an interior height of 3.50 feet and 6.25 foot x 4.80 foot dimensions, this is a roomy tent with plenty of space for you and a family member or friend. Also, comes with an interior storage pocket that helps to clear clutter and keep the inside of the tent organized, providing an overall cozy experience. When you are finished with your trip, you can simply place the tent components back into the carrying bag to easily pack up and transport. If you are looking for a two-person tent which gives easy access, lots of ventilation, and plenty of room inside, then the Luxe Tempo tent ticks all three of those boxes, plus a few more to make it even more appealing. It makes sense that a two-person tent has two doors mainly because it allows one person to exit the tent without waking or disturbing the other. So, it is great to see that this tent has two doors for this, plus make entering and exiting the tent easier. This is a freestanding tent, which means you can move the tent around the location you have chosen to camp, until you find the ideal spot to pitch it fully. Condensation can always be a problem inside a tent, so to reduce this as much as possible the roof has adjustable vents to allow excess heat to escape. This also has the obvious advantage of cooling your tent and allowing air to circulate throughout. When the weather takes a turn for the worse and it starts raining, your tent is well protected from any moisture gaining access by the rainfly, which covers the entirety of the tent. The waterproofing is provided by the polyurethane coating. Other welcome features include large storage pockets inside to keep small items tidied away, sealed seams as further protection from moisture ingress, and reinforced panels in the corners of the tent. As the two-person tent you purchase is effectively your home whilst you are on a camping trip, it is vitally important that you make the correct choice. We hope our review of the best 2-person tents available has helped you to appreciate what features are available and more importantly, which ones you really should be looking for. 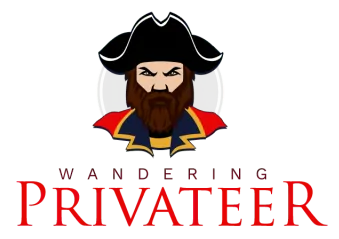 We loved trying out the tents but as with all our reviews, we need to pick our No. 1 choice. It was very tight be we believe the best 2-person tent is the Luxe Tempo Backpacking 2 Person Tent. The fact it has two doors makes it very desirable to start with. With its waterproofing and rainfly for when it rains, keeping you, and its adjustable roof vents for when it gets hot, you should be comfortable in all weather.